A dead shark that mysteriously ended up on a subway train caused a stir among New Yorkers and forced an evacuation of the car early Wednesday. A witness told NBC 4 New York that she boarded an empty car on the Queens-bound N train just after midnight at the Eighth Street stop in Manhattan. Isvett Verde said the car "smelled extremely fishy," and when she looked down, she saw the sand shark. "I mean, I thought I'd seen it all, but even that was a bit much," she said. "I have no idea how it got there or how long it had been there." Verde said the shark continued to surprise passengers boarding the train as it rolled uptown. The MTA said the conductor ordered riders out of the car at Queensboro Plaza, and when the train arrived at the end of the line, the shark was placed in a garbage bag and put in the trash. The MTA said the car was inspected and returned to service. 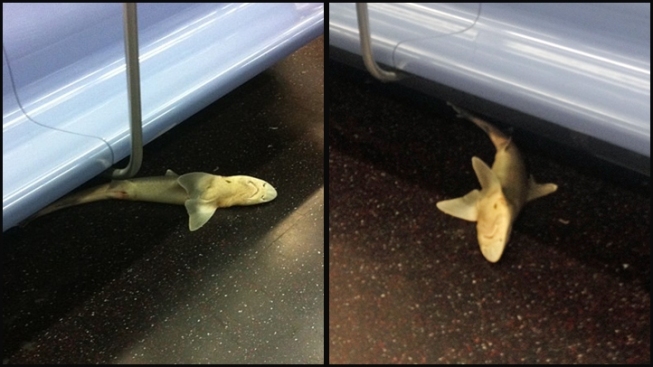 There was no word on how the shark ended up on the train, which originated on Surf Avenue, in Coney Island. "We don't know where it came from. 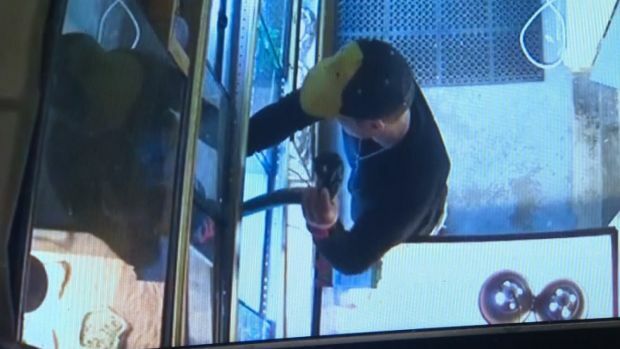 We don't know how it got there," said Adam Lisberg, an MTA spokesman. 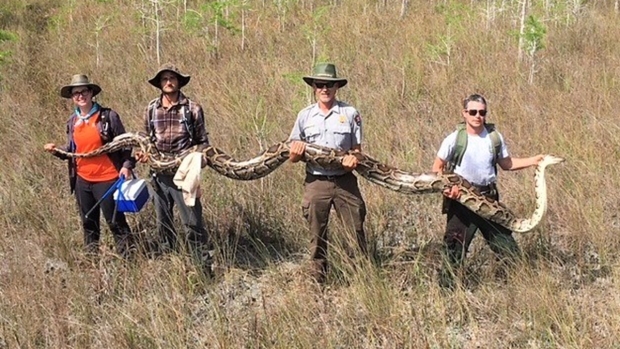 "We assume it didn't get on on its own, it needed to be brought on by a human. Something's fishy about this." It is illegal in New York to own a sand shark as a pet or to bring it on a train, unless it's in a tank or proper container. But they are legal to eat, which is why they can be found at some city fish stores. Subway riders were both skeptical and shocked Wednesday about the unexpected commuter that took social media by storm. "It had to be a prank," speculated one man. "It's crazy, man," said one young tourist. "It's the craziest thing I've ever seen."